Ciaras TY Blog Xperience: Tape Art! In Art we have started our new project. 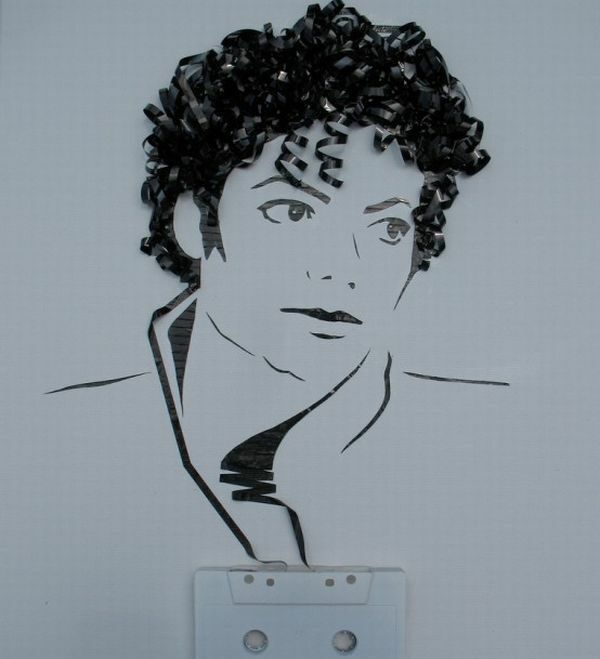 We are making portraits of celebrities out of the tape inside record tapes. It looks really hard but looks really good when it's done! I am not very good at art but hopefully my finished result will in some way resemble the celebrity I am doing, I am either doing Beyoncé or Taylor Lautner! I can't wait to give it a go!